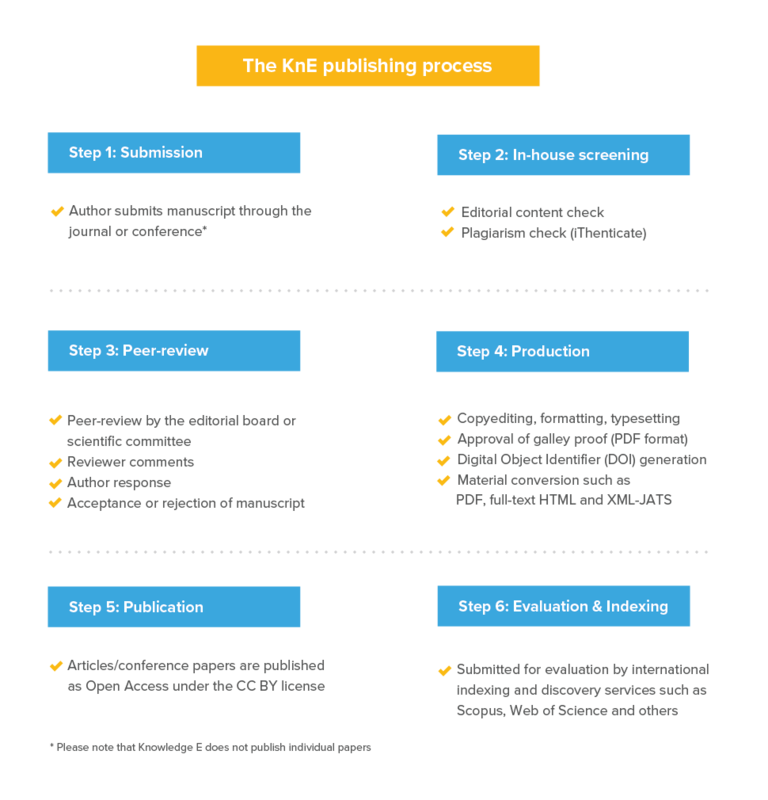 Share your publications globally through our platinum Open Access publishing platform www.knepublishing.com, the gateway to disseminate regional research in the form of journal articles and conference proceedings. Most regional journals are routinely overlooked by international databases and regional conferences go unpublished, not lasting beyond the closing ceremony. The KnE Publishing Platform raises the visibility and durability of your journals and conference proceedings by providing an electronic version permanently and freely accessible globally. Publications on our platform become internationally visible instantly, giving you the potential to attract high-quality authors, editors and reviewers to your journals or attract more speakers, sponsors and attendees to your next conference. As a result, the KnE Publishing Platform allows you to build stronger academic links, thereby raising the reputation of your publication. People will only cite your work if they can find it! Today’s researchers need their papers to be read and cited. Every paper on the KnE Publishing Platform is assigned with its own unique Crossref Digital Object Identifier (DOI) that makes it easier to discover, share and cite by fellow researchers anytime and anywhere in the world. All hosted journals and conference proceedings are automatically indexed in Google Scholar and selected titles are submitted for evaluation by international indexing and discovery services including Scopus and Web of Science as well as others. Knowledge E adheres to the Core Principles of the Committee On Publication Ethics (COPE). As the initiator of the Think. Check. Attend. 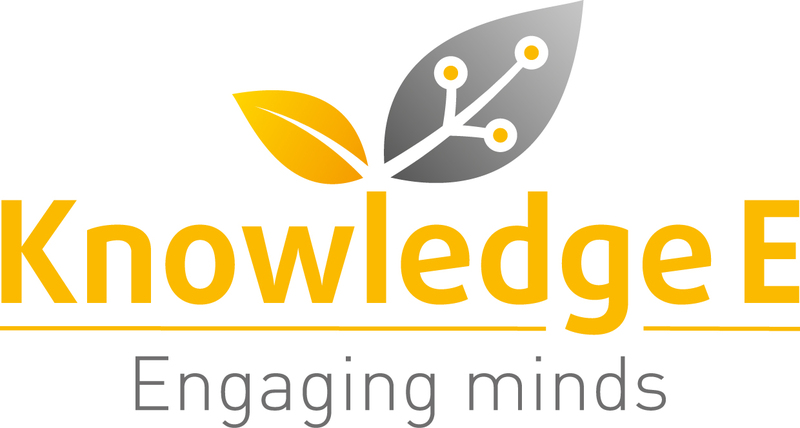 initiative (www.thinkcheckattend.org), Knowledge E ensures all conference proceedings published on its platform come from conferences fitting the guidelines stipulated in the initiative.